Hey, all! 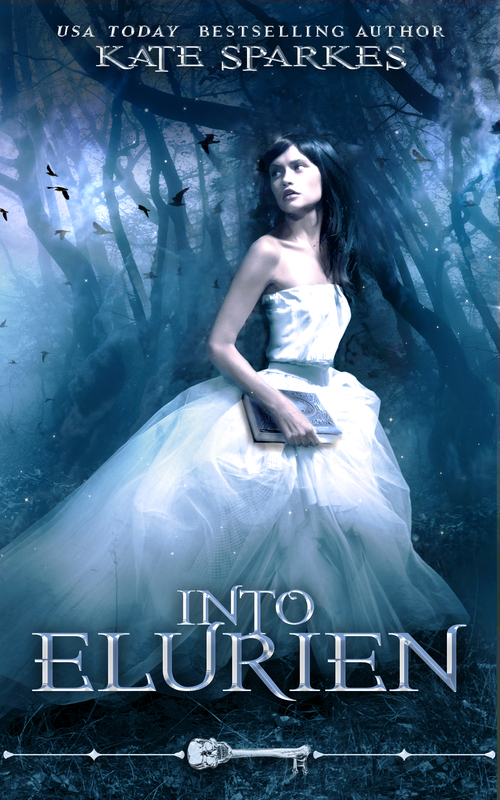 Some of you know Lori through her blog, and she’s one of the wonderful people who posted Torn’s cover reveal for me on Monday. 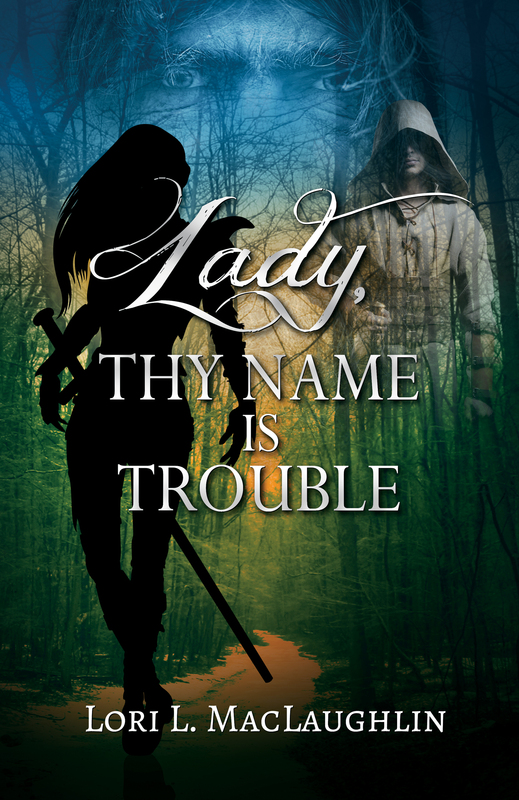 Her new book Lady, Thy Name is Trouble is described as a sword and sorcery epic adventure, with a side of romance. The book releases today in e-book. Congratulations , Lori! Exciting title, no? It’s been kind of a crazy week, I’m a little off-kilter, and that’s actually the best I can do. 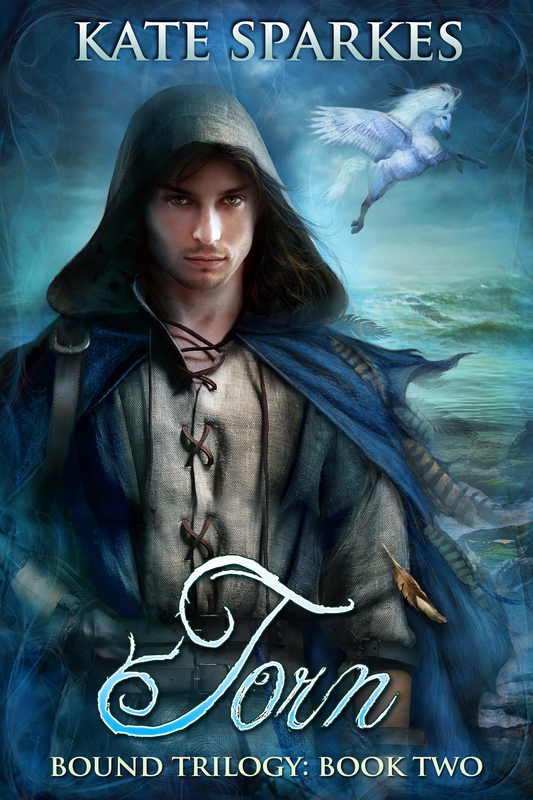 Torn is off for copy edits and proofreading, which means I have a few weeks to freak out get back into revisions on book three, which needs some adjustments after Torn‘s big edits (and just because I’ve come up with a few ways to give the story a more satisfying conclusion). 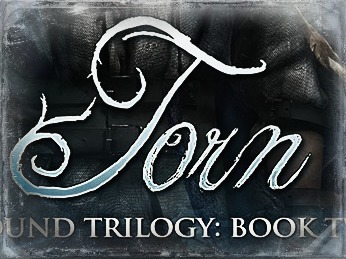 We had the cover reveal for Torn on Monday. Big thanks again to everyone who helped out by sharing or posting the reveal on your blogs! It made it a great party. Pre-orders are up, too. It feels like this is really the point of no return, but I… *looks over shoulder, whispers* I feel good about the timing on this. Still releasing in March (31st), but leaving time in case things go wrong. 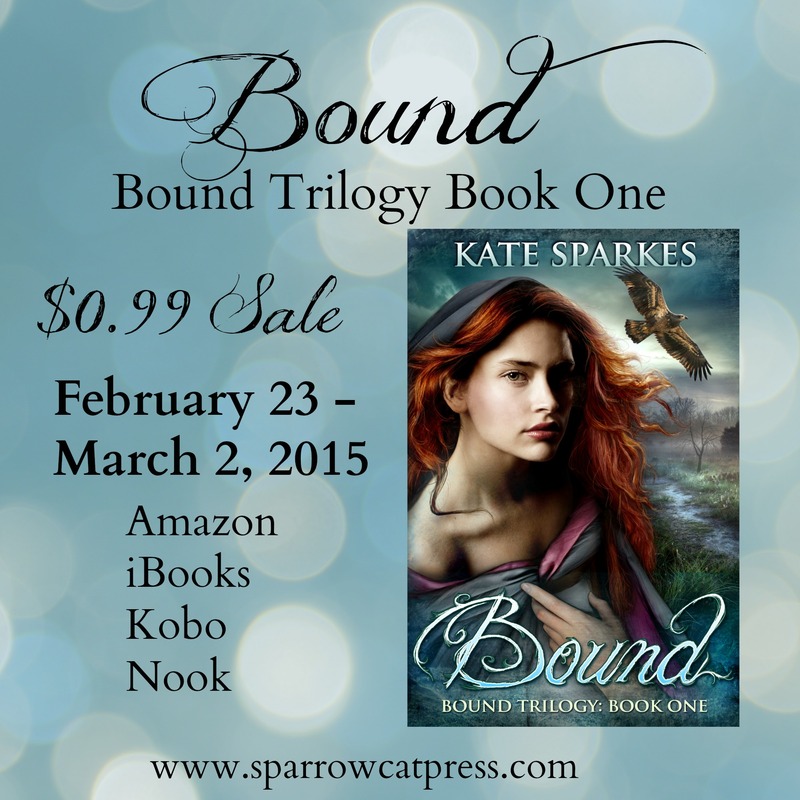 And Bound is on sale for 99 cents this week, in case anyone missed THAT on Monday, as well. I guess we only have a few weeks left when I can call Torn a work in progress. As always, potential spoilers ahead. I’m trying not to give away twists or surprises (or the main plot), but if you’ve read Bound, you might guess who’s being described here. And be happy. I can’t be held responsible for that. 2 paragraphs from chapter 25 for 2/25, from the mysterious 3rd character’s POV. She’s just met some strangers, and isn’t feeling particularly warm toward them. One look at him told me I had better not let my guard down. It would be far too easy to be overcome by his obvious charm. Skin the same color as the woman’s, eyes like the depths of a lake on a summer day, black hair that he brushed back from his face in a gesture that was somehow bashful and self-confident at the same time. His smile revealed the hint of a shallow dimple at the corner of his mouth. I glanced lower, taking in the challenge. Broad shoulders, a muscular body obvious even under layers of clothing. Big hands with long fingers gripped the reins in an awkward hold. I’d always had a weakness for beauty. We saw so little of it in Cressia. For more WIPpet Wednesday, click here. The WIPpeteers (including our host, KL Schwengel) post snippets of works in progress every Wednesday, and it’s always fun to see what they’re up to. The only rule is that the snippet has to relate in some way to the calendar date. If you think that sounds like a good time, jump in on your own blog! We don’t bite. For anyone just now joining us for this series, I’m occasionally posting about things that I’ve learned as I’ve struggled through the process of writing, editing, and publishing my books. It’s a big project with a huge learning curve, and I wish I’d been able to find some of this information when I was starting out. So I’m sharing my experiences now. As in all things, your mileage may vary, and my way is not going to be the best way for everyone. 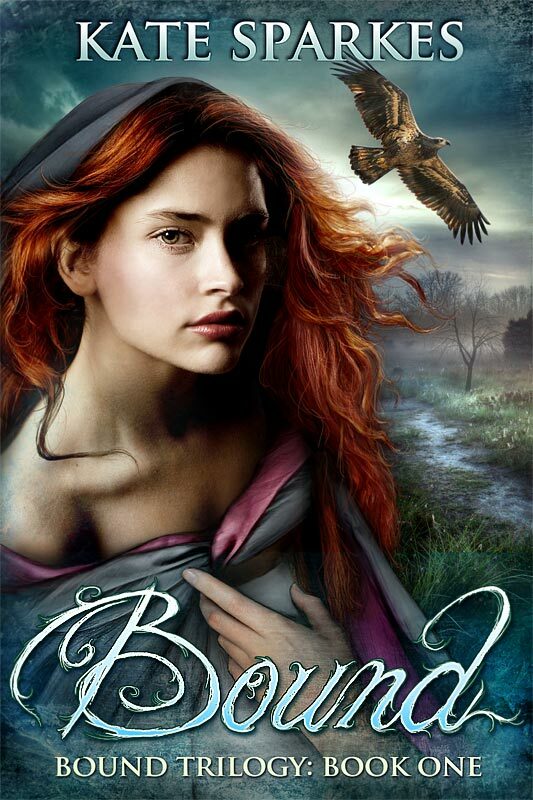 After I decided I was going to publish the Bound trilogy myself, I started looking at book covers I liked. There was one on my Kobo that I loved the look of. Actually, I had bought the book based entirely on that cover. I checked the acknowledgements page, and looked the artist up. Not the cutest “date with destiny/how I met my _____” story, but it’s not a bad method. The artist was Ravven, and hiring her turned out to be a fantastic decision. I wasn’t sure what to expect from the process. I knew she did photo manipulation, and that her work was beautiful. I knew what I liked, and could point to a handful of her covers I truly adored, and to covers I loved in other genres, and by other artists. The problem was that I didn’t have any idea what I wanted for my book. I was pretty sure I didn’t want a character on the cover, but rather something symbolic. I liked covers like that: Twilight, the Hunger Games, Divergent. Even if I didn’t always like the books, I knew that the covers grabbed me. I sent off the information Ravven requested: full synopsis, character descriptions, my ideas, imagery, mood/tone, genre, links to covers I liked on a Pinterest board… everything. I knew I wanted a sort of ethereal feel. Fantasy, but not Dungeons and Dragons Fantasy. That wasn’t my audience. I wanted it softer, and wanted no chance that readers would think this was going to be a battle-and-body-strewn bloodbath, or a bunch of dudes on a quest. 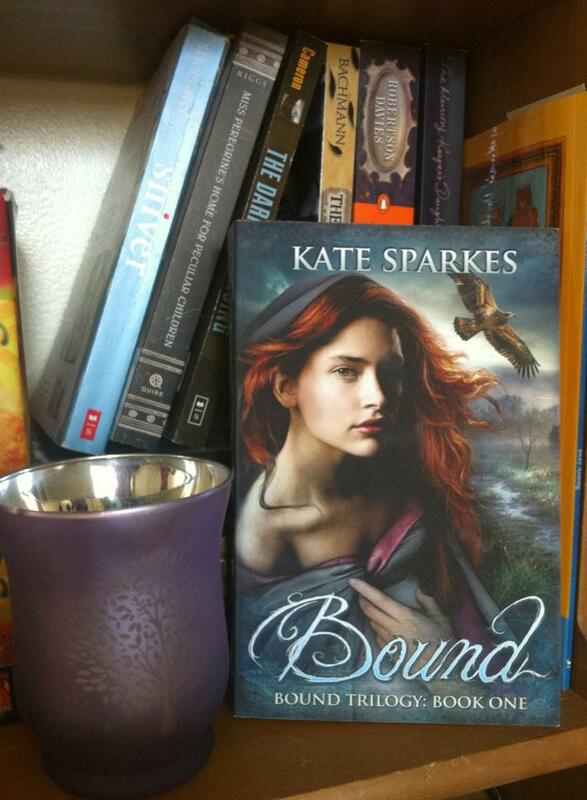 It’s Fantasy, but also YA, with a solid dose of romance, and a lot of it driven by a female character. So, hey, there’s the mood, right? Kind of? Problem was, we didn’t have a clear symbol that was eye-catching and said anything about the story. There was no MacGuffin, unless you count a cure (or, like, “not dying”). Nobody wore a special piece of jewelry, and even if they had, covers featuring pretty chins with necklaces have been done a lot in YA. We tried a few things. Feathers. A knife. A ball thing with power trapped within it, symbolizing… well, you know. And with that comment, any thoughts of showing a woman’s hands bound behind her (symbolically, of course) went out the window, too. So the ever-patient Ravven and I talked about trying a character cover. She pointed me to this article, which made a convincing argument for giving it a shot. There were a few things I knew I didn’t want. No heads-cut-off torsos. No giant faces that take up the whole cover. No scantily-clad warrior types. Rowan seemed like the obvious choice for the cover, so we started there. Ravven (bless her) came up with a few ideas based on my synopsis. There’s a scene where she wears a lovely dress, but “young woman in pretty dress” is everywhere. Also, Rowan’s usually more the “pants and cotton shirt” type. “Give me flat-heeled boots or give me death” could be this girl’s motto. We played with having her looking out a window, framed by snow. And then Ravven hit on the current design. We incorporated a certain eagle, because he deserved to be included, and it made for an interesting element. Ravven sent me about half a dozen stock images of attractive young ladies. There was one with her hand held dramatically across her forehead, and we played with the idea of making it… like… magical, somehow. It didn’t work out. There were others who seemed too disinterested, or too glam-gorgeous. And then there was Rowan, or as close as we could have hoped to find: pretty but not flawless, strong yet vulnerable. I sent my choice back, and we had our central cover image. There were still plenty of changes ahead. The model needed her eye colour changed to grey, her hair to dark auburn and totally re-styled, her clothing changed. The background changed a few times, too, from a lake with a boat to the current meadow/river thing. Ravven had to put everything together and then work her magic to give it the soft, artistic finish that it has. No hard, photographic lines. No obvious elements photoshopped together. More like a painting. And then there was the font choice. That was a rough one. I loved what we have now. It looked appropriately fantastical, and the almost frost-like tendrils reminded me of someone’s scar. I just wasn’t sure it would stand out in thumbnail as well as others. In the end, I had to choose it. It fit so much better than something harder, and no one has complained so far. Actually, the full wrap-around cover had to wait until I knew how many pages the formatted paperback had, and until I had my cover copy written. Ravven was really on the ball with that. It seemed like she had the finished cover back to me before I’d even sent the information. I learned that sometimes it pays to trust someone else’s instincts, especially when she has more experience than me. I learned that the impact can be more important than the details. To be totally book-accurate, Rowan’s hair would be a little darker, and she’d be wearing a white shirt under that cloak (which would also be a little darker, technically). Her nose would be more freckly, if you looked closely. But this image, as it is, has sold the book, and no one is complaining about the details. I’ve learned that a character image on the cover doesn’t necessarily mean that this will be how readers picture the character. Rowan lives in people’s imaginations as they choose to see her. The cover might shape that, or it might not. I’m good either way. I learned that you get what you pay for… to a point. If I’d tried to create the cover myself, without Ravven’s talent and expertise, it would have completely flopped. I know some people have success with stock covers, but I never found one that would have worked as well. Going the other direction, I could have paid $2000 for custom art, but I don’t think it would have sold the book any better, or captured the feel of it more perfectly. This was a great balance for me. I’ve lost count of the number of people who said they clicked through to read the book description/sample because the cover caught their eye. Money well spent? You bet. And I learned that even though I know more about a project than anyone, even though it’s kind of my baby… there’s always room for another person’s input. Oh, and that Ravven is amazing. Obviously. And I used her services again. How did that go? Well, it was easier the second time around. We had our “look,” we knew there would be a character on the cover. Who it would be was a question mark, but I think we made the right choice. We went through the same process, except that this time I went to the stock photo site and picked out a few models myself. That’s a funny story for another day. The character choice did make things hard for me. I know exactly what this person looks like in my mind, and it’s impossible to translate that perfectly. Also, readers already have a vision of this person in their minds, and there’s no way one cover image will fit all of them. In the end, I hope people will continue to see this character as they choose to, and enjoy the cover even if it’s a little different. I know I do. You’re just going to have to wait for the cover reveal next week to find out. If you’d like to help out with that by hosting the reveal on your blog on the 23rd (my birthday, yay! 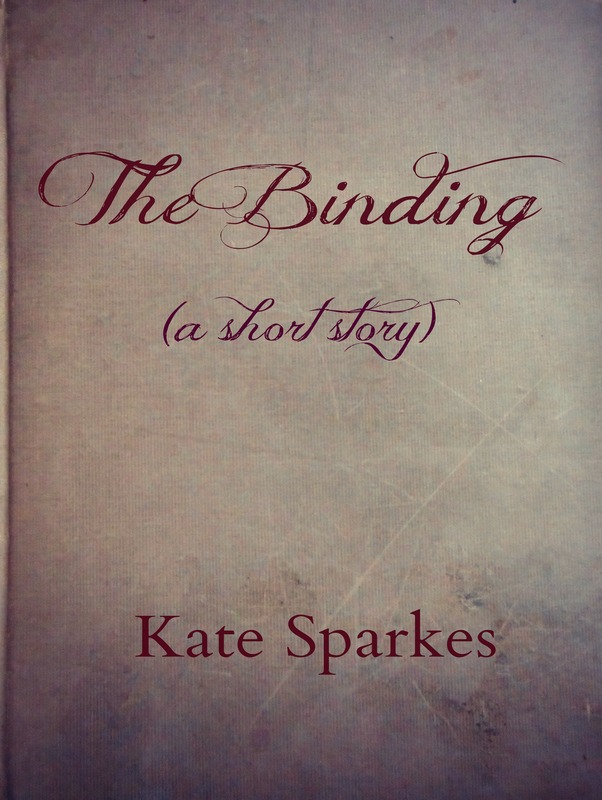 ), please send me an email at kate.sparkes (at) live.ca. The more, the merrier! Oh, and newsletter subscribers see it before we post here. VIP club, baby! 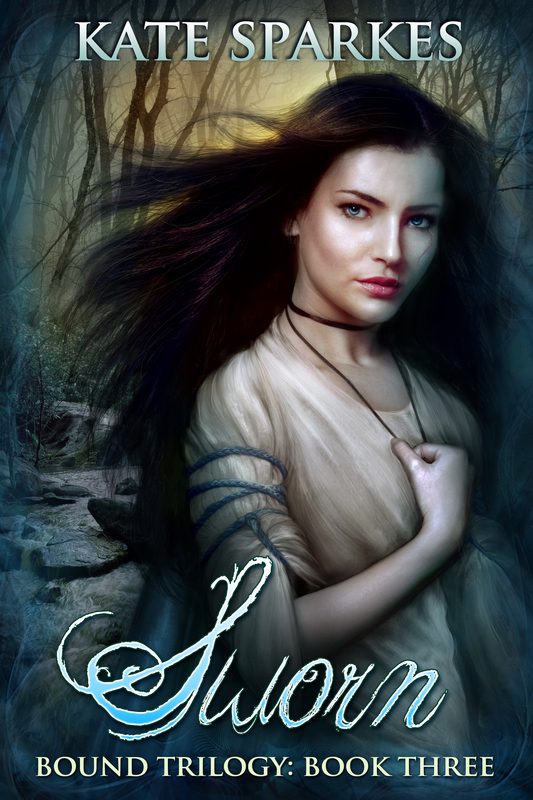 Here’s the link to Ravven’s site again, and to her helpful posts on cover design. Thanks for stopping by! I hope you found something that was helpful to you.